Runaway grand jury. See this article on how to identify a real grand jury from a fake one. CPL 190.50(5)(a) provides that the District Attorney must notify the defendant or his or her attorney of a pending Grand Jury proceeding in such manner as to afford the defendant reasonable time to exercise his or her right to appear as a witness therein. If the prosecutor does not provide notice of grand jury presentation when s/he is required to, this is a denial of your due process rights. Defendants can then file a “five day motion” to properly challenge the failure, and throw out the indictment and give you the chance to be heard before the grand jury, so they can hear your side of the story and call your witnesses before they render their decision. Further a ‘five day’ motion it is not considered a “pretrial motion” (see CPL §§ 210.35 , 255.10), and therefore the timing is not governed by the forty-five day period specified in CPL § 255.20. This motion must be made within five days after arraignment or it is waived (see CPL § 190.50[5(c)]). See also Commentary, N.Y. Crim. Proc. Law § 190.50 (McKinney). 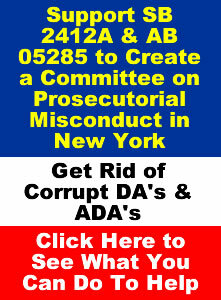 New York State Constitution, Article I, Section 6, Paragraph 2; The power of grand juries to inquire into the wilful misconduct in office of public officers, and to find indictments or to direct the filing of informations in connection with such inquiries, shall never be suspended or impaired by law. In other words once the Grand Jury starts investigating ‘wilful misconduct in office of public officers‘ the law is cast aside if need be to get to the bottom of the accusations. The grand jury does not have to follow the same procedures, i.e. laws, to determine if a public officer committed willful misconduct, like Lori Rieman, William Preston Marshall and Elizabeth Ensell. They can do what ever it take to investigate them within reason and hold them accountable for their crimes. Shall never be suspended; that means in time of war, strife or whatever, a grand jury can always be seated and/or in power. Absolute; (as defined in blacks law); complete, perfect, final, without any condition or incumbrance; as an absolute bond. Information; have you ever had a “information” filed/charged against you? It maybe called a “BILL OF PARTICULARS”, or an actual “INFORMATION” (one that has the alleged accusations, alleged facts and the alleged notice all included). Hint, look to the left side of the ‘charges’ does it have “ACCUSATIONS”, “FACTS” and “NOTICE”? In other words you, the natural born citizens of New York, if you are on a Grand Jury, especially if you are a “Grand Jury foreman, i.e. foreperson”, whatever you maybe called, all of you can ignore any and all ‘government’ employees, laws, etc… including those calling themselves district attorneys, etc… and do what justice requires of you, not the ‘law’, not the ‘rules’, not the ‘regulations’, but what is moral and right. 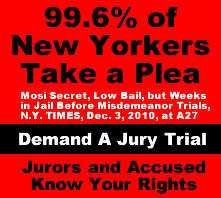 How is the corrupt New York state government trying to dilute you, the people of New York’s Grand Jury Powers? You will see public officials attempt to use CPL to make it appear you have limited powers or authority. The constitution is very clear on that as we have already shown you. They will use CPL § 190.85 and ask you to submit a report Concerning misconduct, non-feasance or neglect in public office by a public servant as the basis for a recommendation of removal or disciplinary action. WRONG! See New York State Constitution, Article I, Section 6, Paragraph 2; “to find indictments” which clearly specifies the fact that Grand juries can indict corrupt public officials, not make reports. In 1934, a grand jury was convened to investigate gambling in the city. The grand jury sat for 11 months, but resulted in only a few prosecutions. Charges were made that politicians were regularly fixing gambling cases. A memo by Mayor Fiorello La Guardia’s office showed that between February 1 and September 30, 1934, 91% of the gambling cases brought by police never even came to trial, and of those that did come to trial, one third ended in fines usually under $50. On March 4, 1935, Dodge convened a grand jury to investigate gambling, and in particular the actions of Dutch Schultz. The grand jury spent its time with other cases and information on witnesses was being leaked. Grand jurors complained that only junior investigators were assigned to them. Gambling kingpins were quoted in the newspapers that they would never be indicted. The jurors complained in open court about the problems on May 7, 1935, which was widely reported by the city newspapers. On May 22, 1935, Dodge agreed to appoint a special prosecutor from a list prepared by the New York County Lawyers Association. He balked at appointing any of the Republicans on the list because he considered them political opponents of Democrats such as himself. Instead, he selected H. H. Corbin, a compromise candidate proposed by former Republican Governor Nathan L. Miller, despite objections by the grand jurors. When the juror objections were made public, Corbin refused the appointment. The “runaway” grand jury disbanded in June, still complaining that the cases were not adequately being investigated. 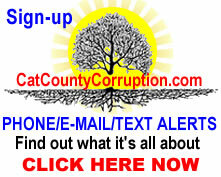 A perfect example of what corrupt District Attorney’s will do When you are investigating public corruption, like should be going on in Cattaraugus County New York they will claim you only have the power to issue “grand jury reports” concerning malfeasance of public officials and recommending their discipline pursuant to NY Criminal Procedure Law §§ 190.60 & 190.85. History is very clear you have the right to pass down indictments (true bills) against corrupt public officials and they can be tried on that. The Dutch Schultz era in New York City proved that. This is one of the areas that corrupt DA’s will try to use to deflect investigate corrupt public officials. 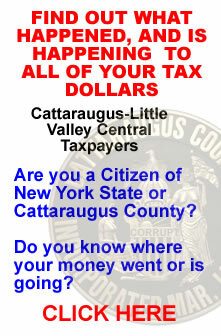 This is one of the reasons the State of New York is considered the most corrupt States in the United States. History is very clear you have the right to pass down indictments (true bills) against corrupt public officials and they can be tried on that. The Dutch Schultz era in New York City proved that. 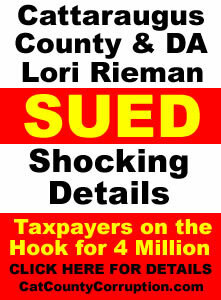 This is one of the areas that corrupt DA’s will try to use to deflect investigations and Grand Jury Powers on corrupt public officials. 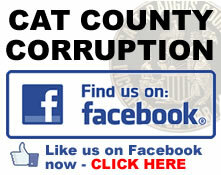 This is one of the reasons the State of New York is considered the most corrupt States in the United States. 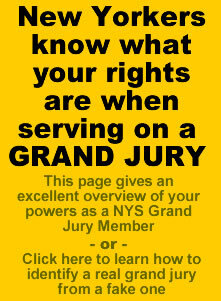 Grand Jury Rights Manual click here.